The silhouette of my girlfriend (now fiance!) 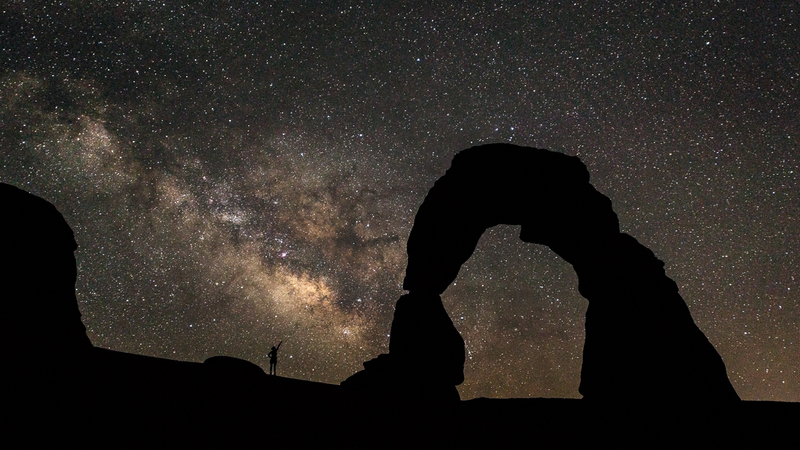 points toward the center of the Milky Way behind Delicate Arch during a trip to Arches National Park. All photos from Colosimo Photography are available for purchase in higher quality than appears online. Please send me a message via the Contact page for further information.